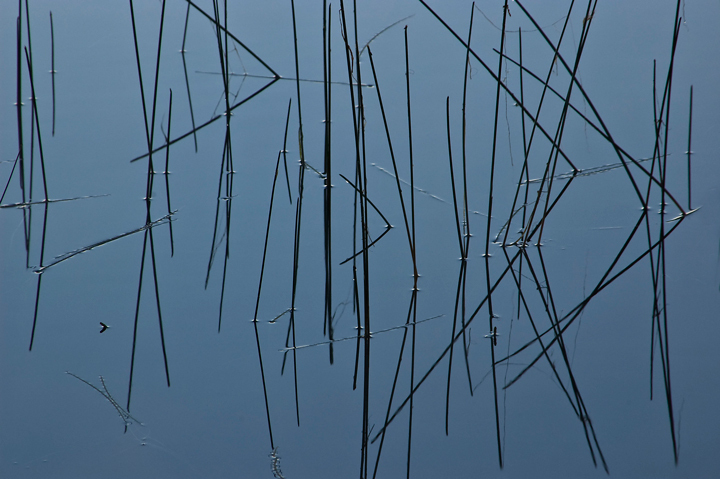 On a walk along the Red Cedar River I encountered a small pond with reeds protruding from the water. 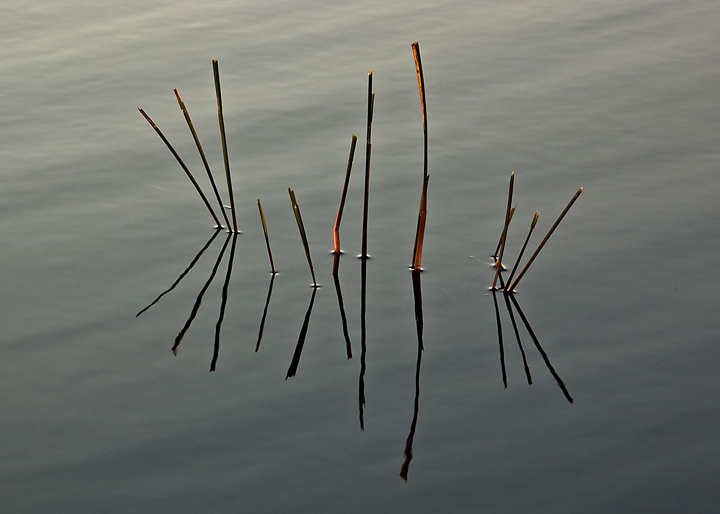 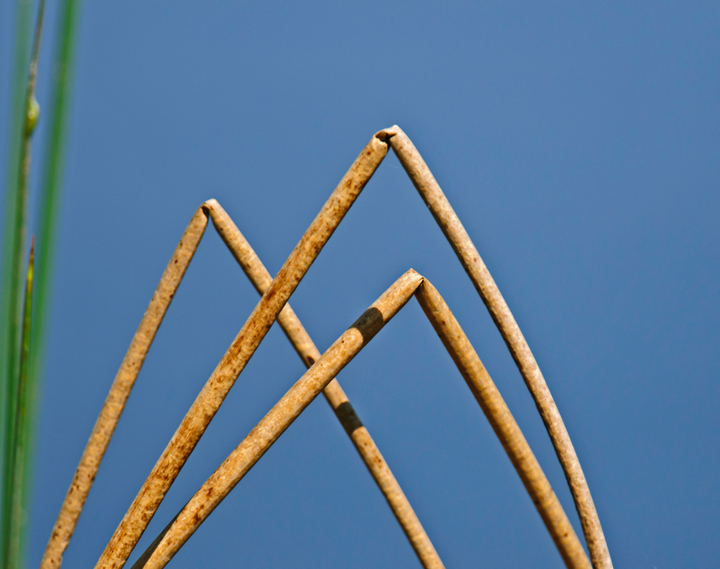 It created some interesting patterns with water tension next to the reeds. 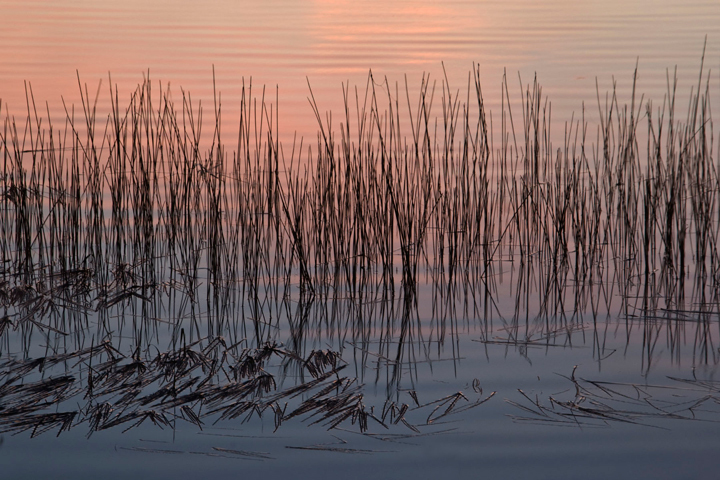 In my photographic wanderings I frequently find myself photographing in marshy areas. 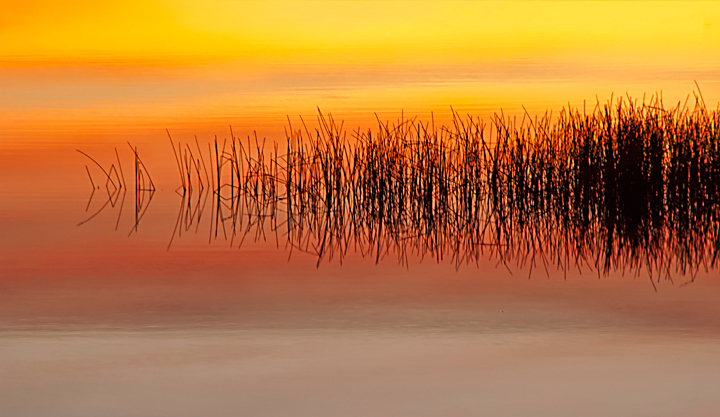 I’m attracted to reeds long the shoreline. 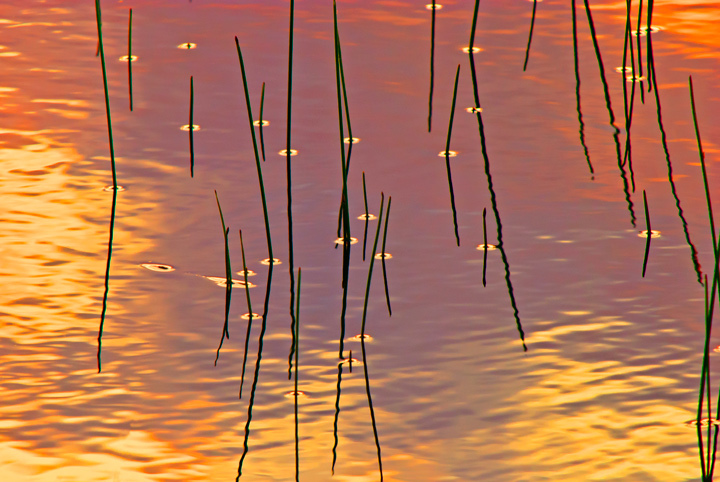 At sunrise/sunset and late in the day the reeds make outstanding subjects to photograph.